As the nights draw in and it gets colder I often find myself wanting to sit down to eat something reassuringly warm and comforting and this modern take on two classic British dishes ticks every box. A heavenly comfort food combo, that’s also great for your gut health and a healthy gut = a healthier and happier you. This is currently one of my favourite eats… oozing cauliflower cheese with delicious beef in a soothing, nourishing, rich velvet sauce. 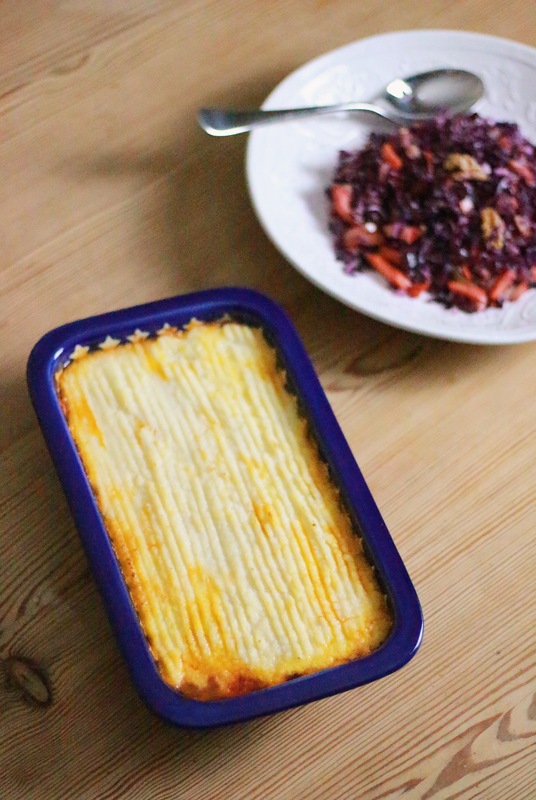 This Cottage Pie is made with restorative bone broth (natures wonder cure all) this is easy to make and great for keeping you fit and strong in the winter months and traditionally how cottage pie is made. Trust me ditch your stock cubes or even shop bought stock and make your own, your hair and skin will love you for it too. 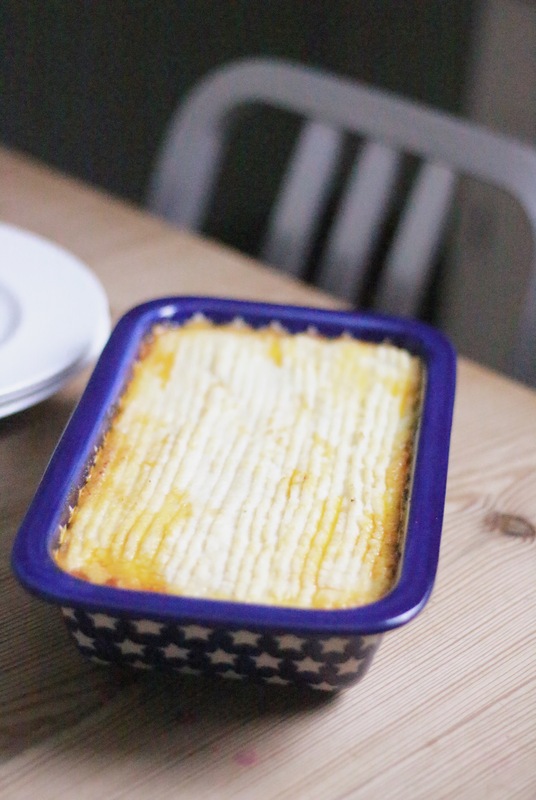 The other wonder ingredients of my Cottage Pie recipe are raw apple cider vinegar, cinnamon, rosemary and turmeric (the mega medicinal anti-inflammatory herb) all of which are great for boosting your immune system and nervous system, they also add amazing flavour. So as well as tasting divine this Cottage Pie will also help ward off those pesky winter bugs at bay or put a rocket up their back sides. It’s also naturally gluten and grain free with a dairy free option. I have to admit I was a bit of sceptic about Cauli Mash, worried that it would also disappear in a sunken slop into the cottage pie. But ye of little faith, I should know by now that the humble Cauli is truly a super veg and not only is it more flavoursome than your regular potato version its easier to make too! If you’d like a more traditional potato version see my recipe here. The perfect marriage of two timeless classic comfort foods combined to create a super healthy, tasty dish you’ll be cooking again and again. Cut the stalk and leaves of the cauliflower and cut into florets and cover in a pan with water nearly covering the cauliflower. Cover with a lid and gently steam for 8 mins. Drain the water of the cauliflower and leave to cool, before adding the butter and cheese or coconut oil blending with a blender or food processor or you can mash by hand and handing a small pinch of salt. Place the mince in an oven proof dish and cover with the cauliflower sauce and place in the pre-heated oven for 25 mins. 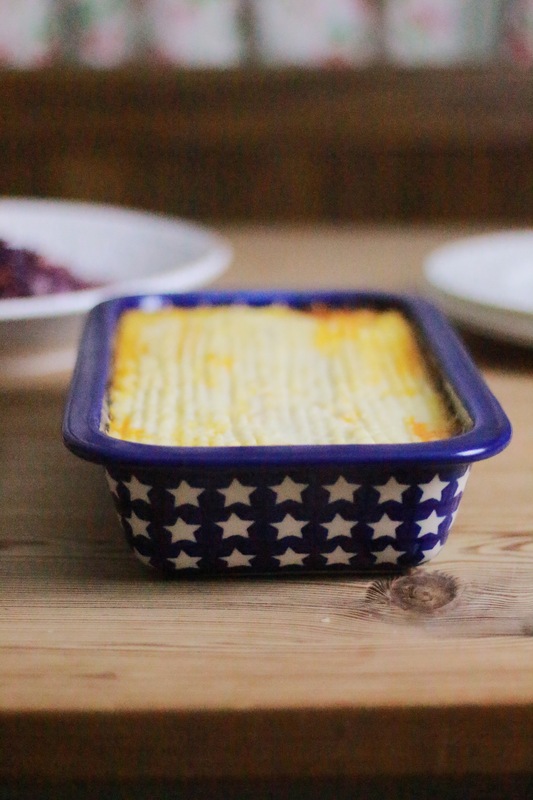 This super Cottage Pie with Cauli Mash will keep well covered in the fridge for up to 3 days. I love cottage pie and I’m not really keen on cauliflower. I keep searching for ideas to use it. I must give this a go, thank you 😊. bouillon, bone broth and stock are all words for the same thing. Hope this helps and happy cooking sounds great. Ahhhh, ok. Then i understand, thank you very much for your help! Thank you Elaine it’s a lovely change. A wonderful tasty comfort food dish! Yummm! I also love your cool starred blue oven dish! Cool!